Mike's Mowing provides professional landscape maintenance services for commercial properties such as shopping centres, restaurants, gas stations, apartment complexes and strata complexes. We are fully insured. Please submit your details and we will get back to you as soon as possible. Please list the services you are interested in. The first impression of any business is often the property surrounding the building(s). An unmaintained landscape does not leave a good impression on your visitors, customers, employees, or tenants. Overgrown plants, weeds in the gardens, and unmaintained lawns will not inspire confidence in the services you provide. Our reliability and attention to detail will ensure that your property's curb appeal is always first class. 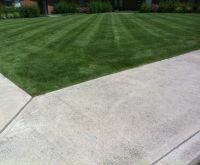 Contact Mike's Mowing today and we can setup your weekly landscape maintenance plan.